The sky was as blue as anyone can remember the weekend Face Off 2 2018 Automobile and Motor Show was held at the parking grounds of the Circuit Makati. 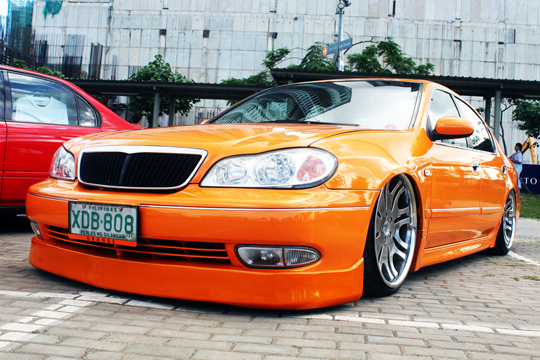 It was a fine day for workaday people as well as the Midases to be in a show that was crammed with fine cars and choppers glory, stance wars, Thai, and audio wars. For a lot of people, going to motor shows is a little bit like going to a museum and carnival at the same time. It is something they do with great reverence, awe, and high-spirited amusement, then go about their business with energy replenished by a well-laid exhibit, wide range of colors and audible recognitions of the displayed items lingering in their minds for quite a time. Face Off 2 2018 was a decamping gambit by its organizer, TJ Hidalgo, from the big-league automotive shows to one he could put his own touch on. Face Off 2 2028 had a sizable assortment of cars on display; nothing fancy or ritzy there, but they were carefully polished, spruced up, and each one looked like well-turned ladies. 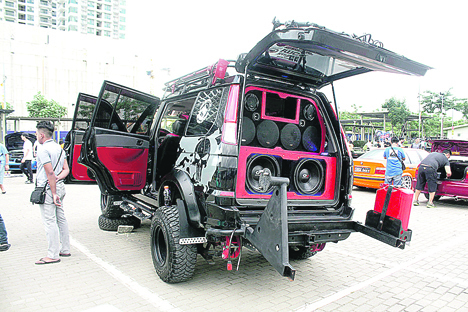 One thing most of them have in common: they can transform themselves into stereo-pounding cruisers. When their amps are pumped up, wear earplugs. They are loud. Really, really loud. The car collection had finesse but it was the row of motorbikes that became the attractor of the show. It wasn’t exactly Sturgis, not yet, but for two years since TJ Hidalgo started his dream, the effort is slowly paying off very nicely. There’s always one in every pack. 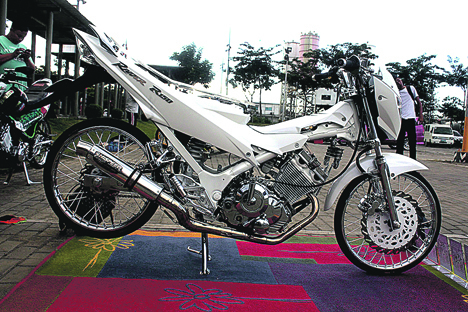 A 2011 Honda DMX 155 owned by Mike Bautista easily stood out in the choppers stable, an uber-cool machine of stainless steel. 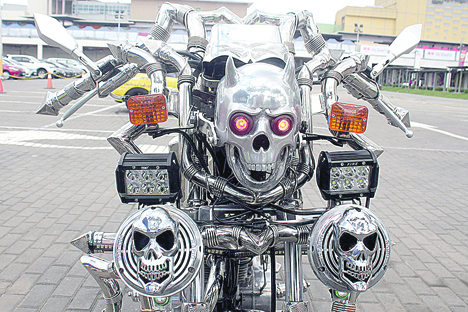 Like dead-straight motorcycles should be—scary and dangerous—the skulls and bones art infused on the bike, aptly named Ghost Rider, should make an awesome street reaper. A yellow-striped Yamaha Sniper 150 (Thai Exciter 150) owned by Jason Concepcion has a flashy image that conveyed the thought of a fierce big cat—fast, daring, riding free, with plenty of attitude, even as it rests on its side stand, to show off the bruiser in it. It’s a chopper that growls to be ridden hard. 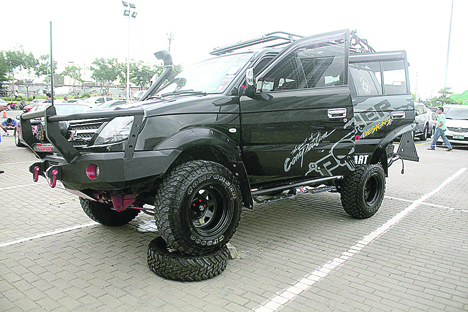 “Baby Hawk”, Mark Angelo’s Suzuki Raider R150, has had its iron and attitude tested on a highway bruising to Bataan and back like a piece of cake—smooth and reliably satisfying, hassle-free biking without the windshield to obstruct the view with just the wind blasting against his riding jacket. What instantly grabs the eyes, aside from the spotless white armor suit thieving the sun rays, is the airspace on his bike. His Suzuki was cleverly built that one could see the day shine around the many pint-sized mechanical pieces on it. And the zounds! When Angelo hits the rev limiter to its extreme, the pipes sound more than 100% menacing. Jojo Roxas and his red 2017 Suzuki Fi are no strangers to motorbike shows and winning along the way. The chopper doesn’t look fear-inspiring unlike its other outlaw-image cousins. In fact, this Suzuki looks like a beauty queen with an unaffected strut and street glide. A motorbike is more than a means of transportation. Being on top of the saddle can be therapeutic, an outlet for outpouring private protests and displeasure. A ride is also a way to express one’s individuality. Give it the gun to get attention, show the extremes to which the pipes can wake up the dead, cruise the streets with pounding stereo blasts, feel the wind as the bike snakes thru S-turns on treacherous mountain curbs, and fly on two wheels to places uncharted by maps but still touching the ground. Go. The road awaits the challenge of your company.